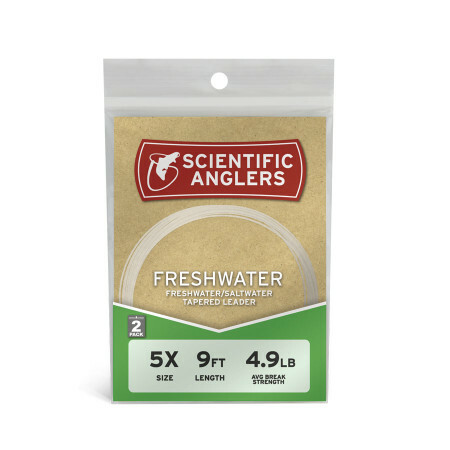 ​For years, Scientific Angler's leader and tippet materials were marketed and advertised as being something they weren't. The diameters, breaking strengths, and performances just weren't accurate - or on par with their own rigorous standards. Scientific Angler needed to fix that. Over the past two years The folks at SA have meticulously researched, tested and developed what they believe are the best leaders and tippets ever produced. 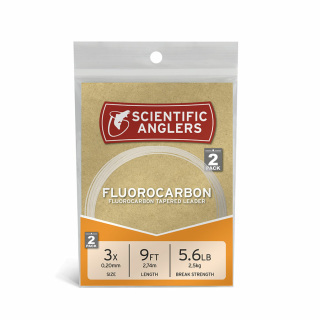 Their new nylon and fluorocarbon materials are, simply put, the strongest and most reliable they have ever created, with the highest knot strength of anything tested. Period. These breaking strengths and diameters have been put to the test more times than a lab rat, and we are finally in-line with SA's exacting demands. For years, SA's tippet materials were marketed as being something they weren’t. 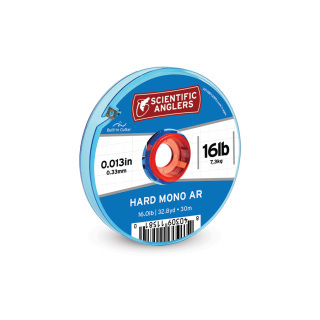 The diameters, breaking strengths, and performance just weren’t accurate—or up to par with their own rigorous standards. Their new nylon tippet is, simply put, the strongest and most reliable they have ever created, with the highest knot strength of anything tested. Period. You can fish the other stuff, or you can Fish the Truth. Note. The spools are labelled Freshwater, but the material is is designed for both Freshwater and Saltwater. Here’s the thing. 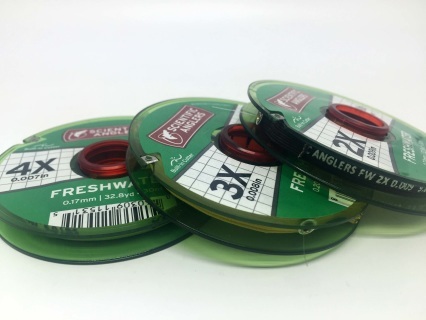 Most tippet spools hold 30 meters of material. That’s pretty good—until you run out of 5X during a hatch one cloudy afternoon. 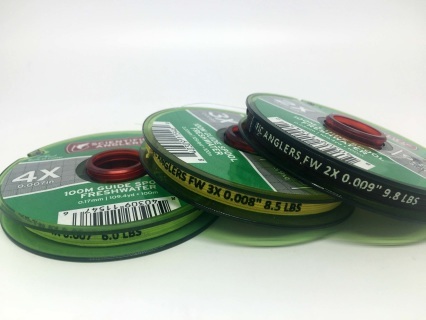 Give yourself a little breathing room with SA's 100-meter Tippet Guide Spool. It will last you all season, offers low memory, and provides excellent knot strength. 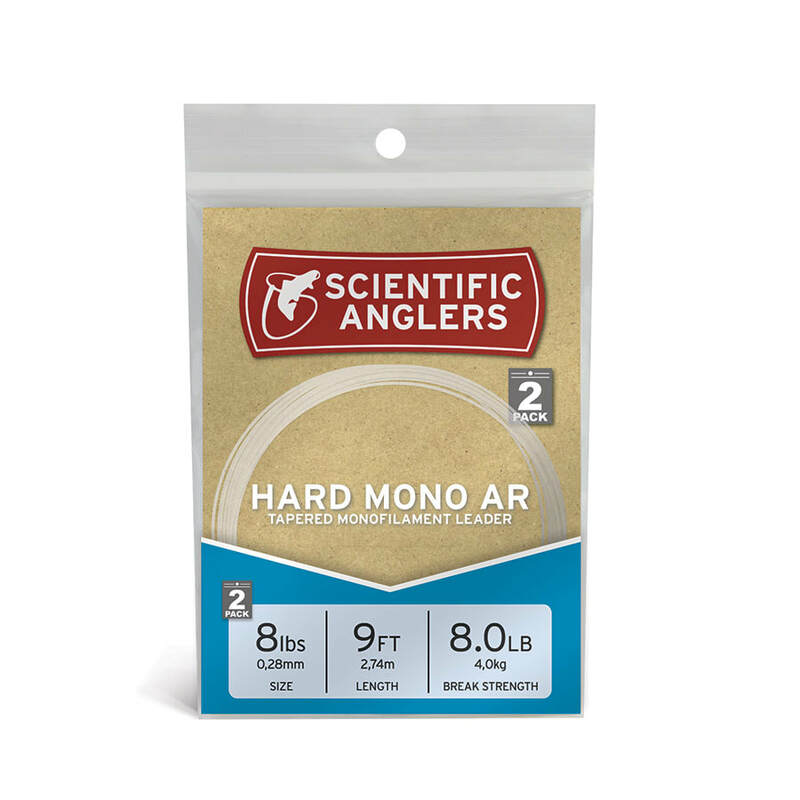 You may not be a guide, but you’ll appreciate that extra bit of material. You can fish the other stuff, or you can Fish the Truth. 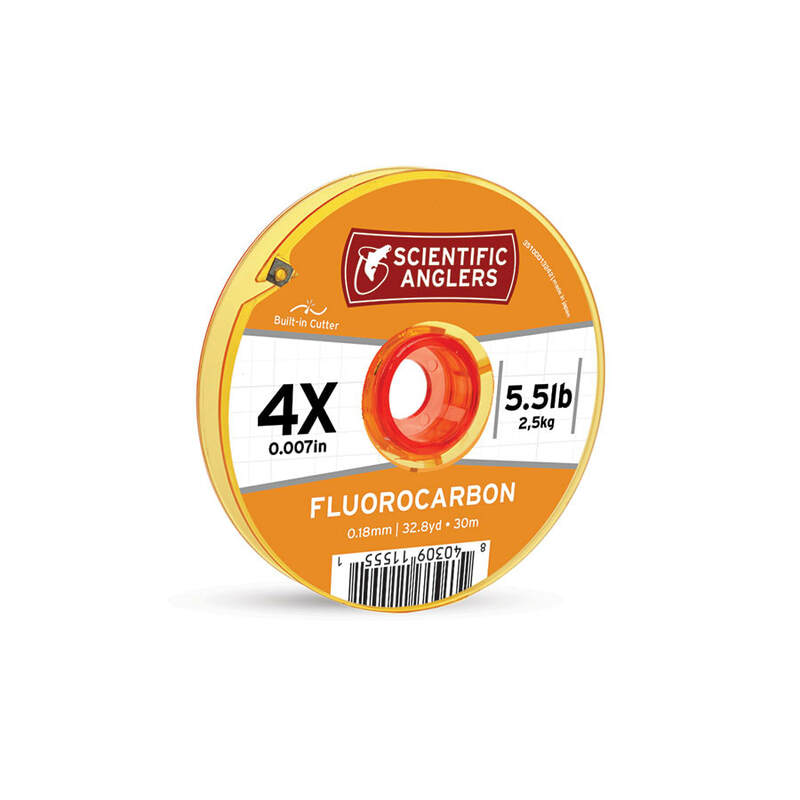 Scientific Angler's new Fluorocarbon tippet is, simply put, the strongest and most reliable they have ever created, with the highest knot strength of anything tested. Period. You can fish the other stuff, or you can Fish the Truth. While Fluorocarbon Leaders are not invisible underwater, let’s just say that they’re extremely hard for fish to see. Constructed of a UV-proof material with high abrasion resistance, these leaders are great for wary fish, low-water conditions, and truly excel when nymphing. 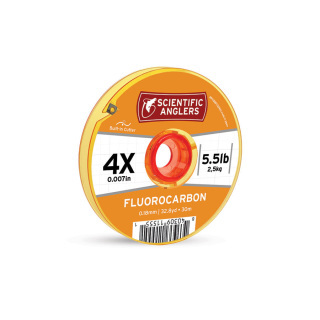 They feature the highest wet knot strengths in the industry and true-to-spec X sizes. You can fish the other stuff, or you can Fish the Truth. Suitable for both freshwater & saltwater use.